There’s a way for everybody to participate during American Diabetes Month in November. Share your story, or encourage a friend or family member to share theirs using #ThisIsDiabetes. Be sure to also follow the American Diabetes Association on Facebook, Instagram, and Twitter. You can also update your Facebook profile picture to help raise awareness, sign up to become an advocate and donate to help the American Diabetes Association continue their critical work. 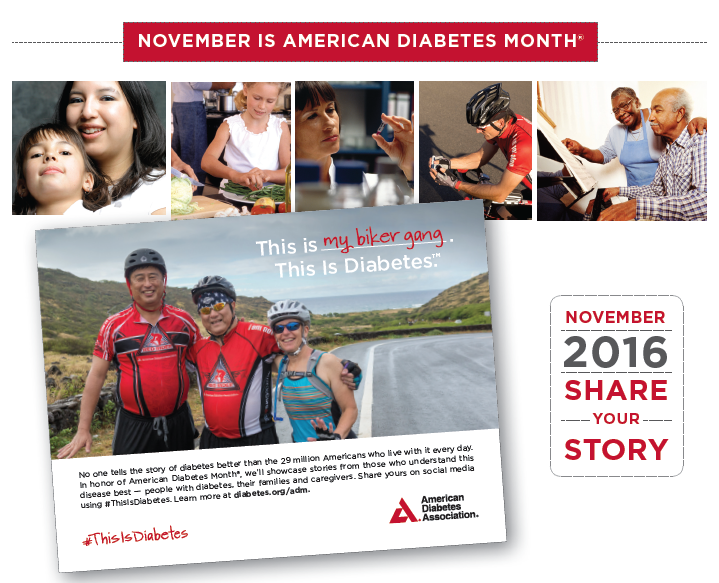 To learn more and view #ThisIsDiabetes stories from around the country, check out diabetes.org/adm.